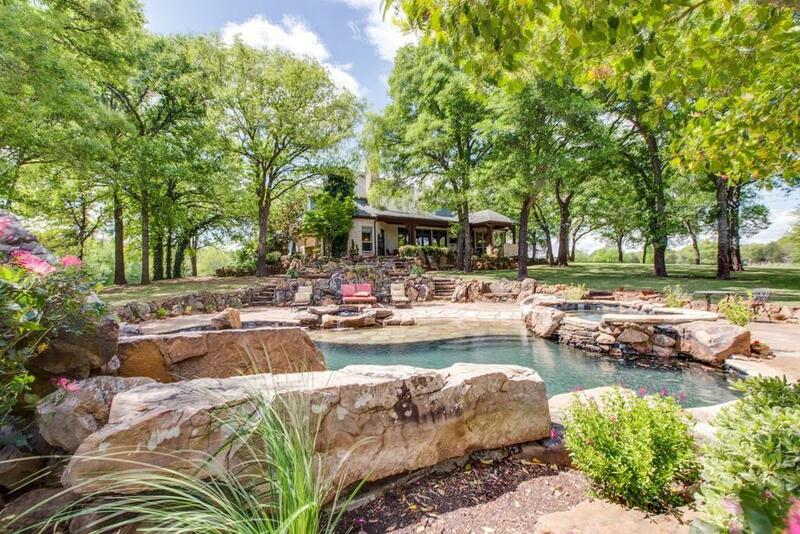 Magnificent country estate on forty plus acres, with stunning home and grounds. 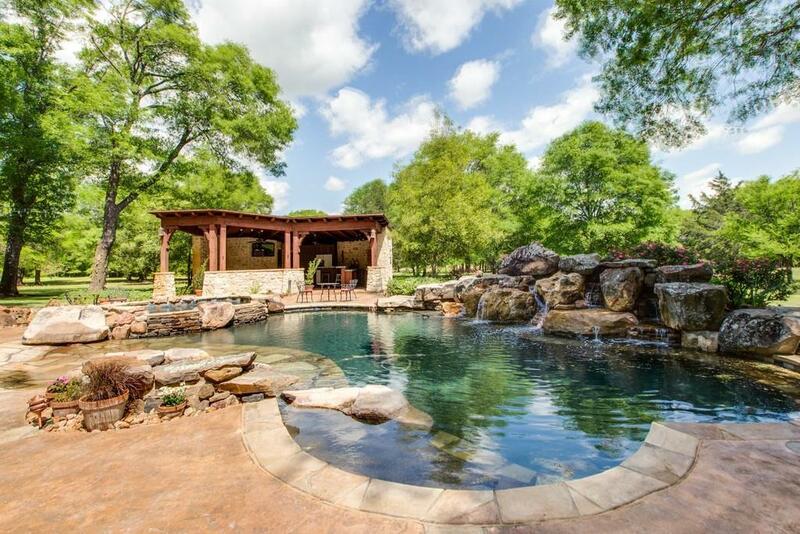 2 ponds, outdoor living space, saltwater pool, cabana, party barn. Exquisite kitchen with 10 foot island, commercial grade oven-hood in stone alcove. Master suite with fireplace, overlooks pool area. 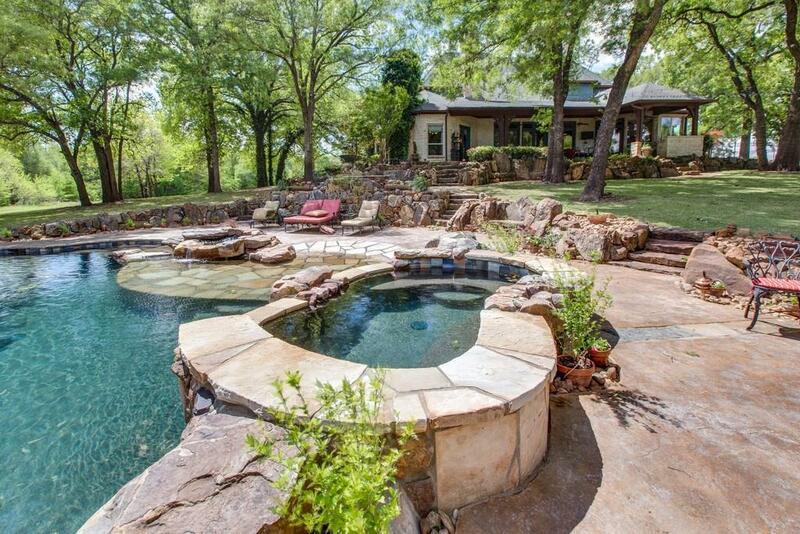 Four BR, four living spaces, including media room and massive game room upstairs. Wine cupboard, with secret closet. 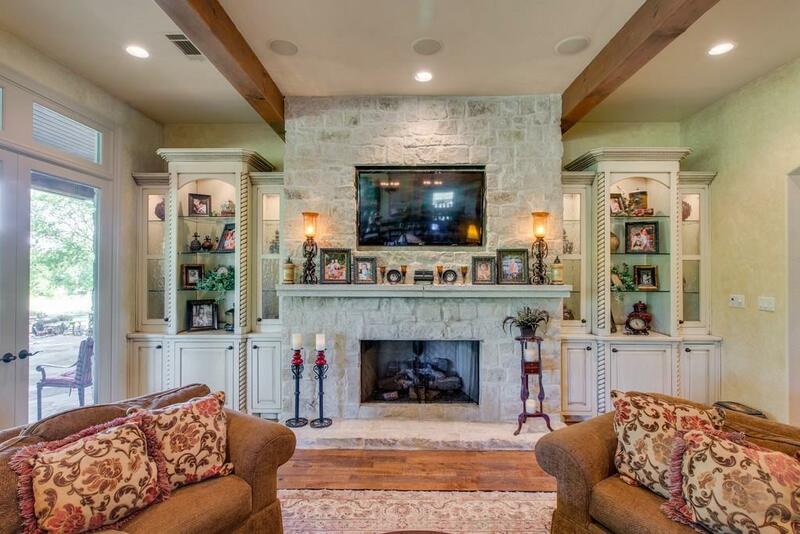 Family room with exposed beams, built in cabinets. See lists of extra amenities and details. Dual stairways. Party Barn Square footage not included in MLS descriptions.